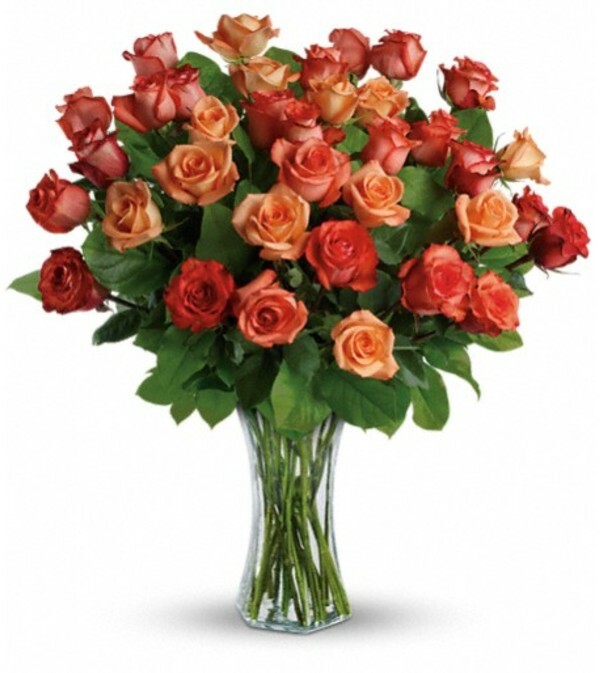 Send her a vase full of sunshine - 24 glorious roses in brilliant shades of orange, light orange and dark orange. 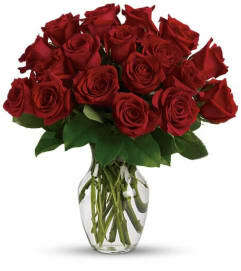 Delivered in a sparkling flared vase, this is a dazzling gift that will warm her heart for days - maybe weeks. This dazzling bouquet includes orange roses, light orange roses and dark orange roses accented with salal. 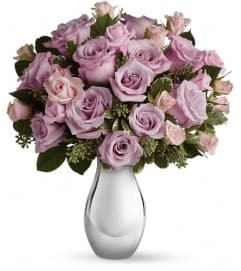 Delivered in a flared glass vase.